Home/How Search Engines Work, SEO RoadMap/What’s coming for SEO in 2017? Howdy SEOers! Doesn’t time fly? It feels like only yesterday we were making our bets on what was awaiting SEO in 2016. Then boom, and it’s almost 2017 — the time for planning, budgeting, and strategizing for your SEO success in 2017 has come. And if you need some inspiration or some help setting up the priorities, I’ve got a handful of useful tips to share! 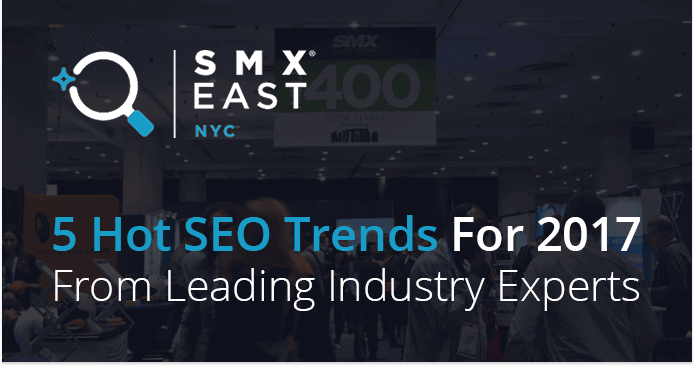 Just back from one of the largest (and most trusted) SEO events in USA, the SMX East conference, I’ve carefully documented the most important takeaways for you. Some of them are quite logical and expected, but others are true game changers! 1 Google’s AMP — just another fad or the future of mobile? 3 HTTPS is eating up your referral data. Any ways to fix that? 4 Still building citations for your local business? It might be just the time to stop! By visaliaweb|2017-07-02T00:32:39+00:00July 2nd, 2017|How Search Engines Work, SEO RoadMap|Comments Off on What’s coming for SEO in 2017?